Fall has a decadent feeling about it in the Blue ridge Mountains of Virginia, doesn’t it? The rich Autumnal landscape envelopes the senses in notes of burgundy, crimson orange, brilliant yellow, and, fiery red. This is why I am so excited to share this lovely shoot dreamed by Katarzyna Borek and captured by jen Fariello. 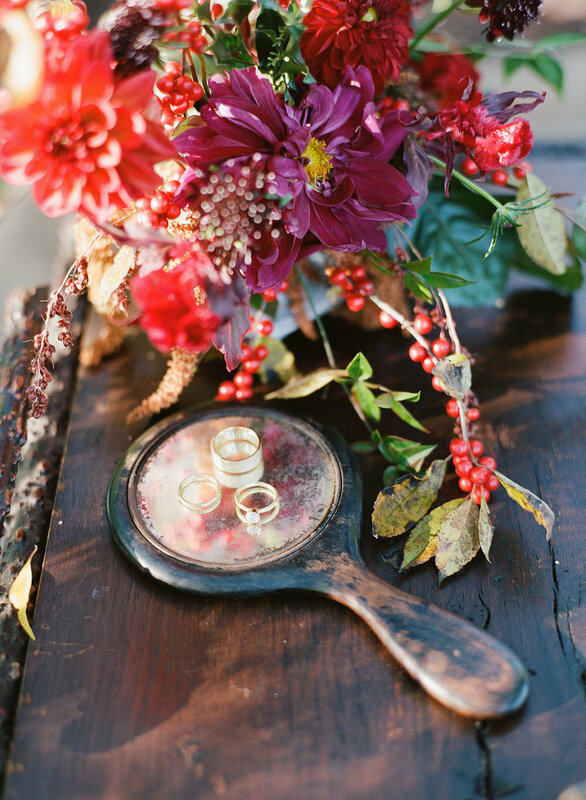 We wanted the theme to convey the richness that fall in this area of the country brings us. I wanted to convey this richness as well in the models makeup while remaining true to my aesthetic of natural, beautiful makeup. I went with the Color “Crimson” by Bobbi Brown for the lip which blended beautifully with the gorgeous colors found in the bouquet Katarzyna crafted from scratch. For the skin, I used a rose gold highlighter by RMS to give her skin the same luminous glow as the autumn landscape. For her eyes, I went with a soft smokey eye with hints of gold, for this I used the Laid Bare palette by Lily Lolo. As an artist I am continually drawing upon the natural world for inspiration. The intricate wings of a dragonfly, the illuminated moon at night, an opalescent shell found on the beach- all have celestial qualities that can be found in every bride. This is why I love as an artist to use natural and organic makeup whenever possible. Beauty is truly found within us as living beings and reflected back to us in nature. 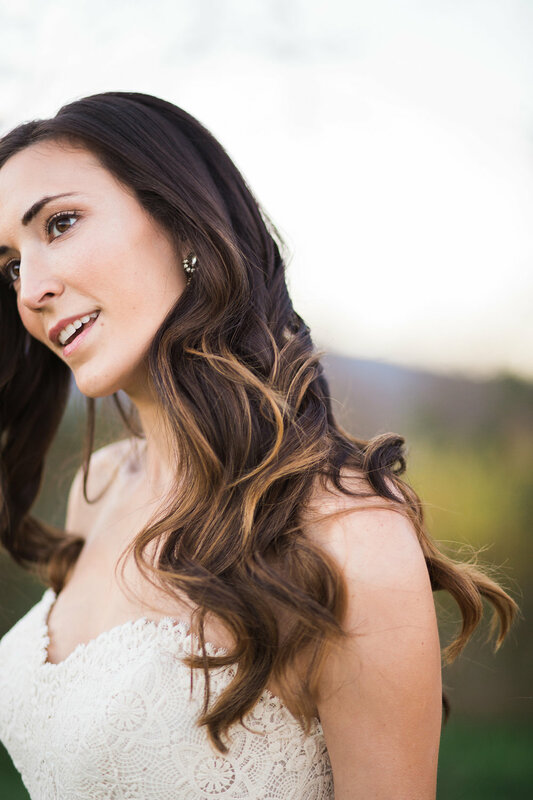 Bridal Makeup that correctly draws in the right elements of color and works in synergy with the skin can transform a bride into her most radiant self.